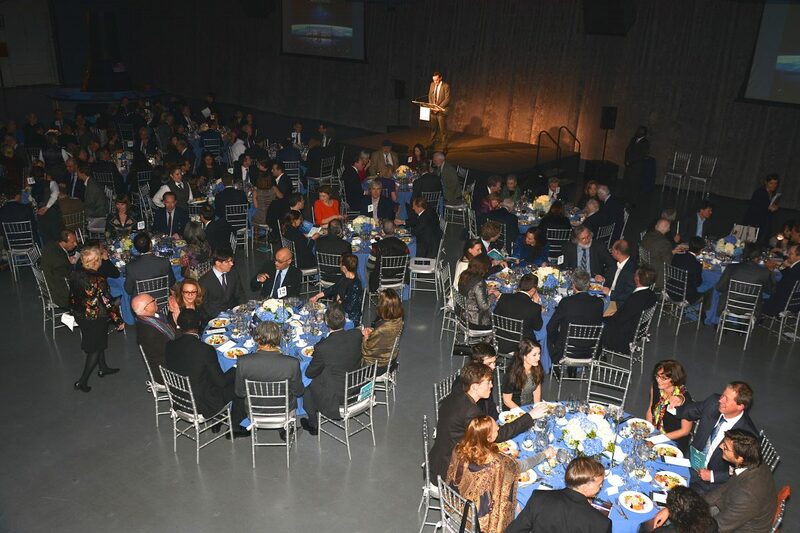 The third Friends of IHES Gala was held on November 18th at the Intrepid Sea, Air & Space Museum in New York. The theme of the evening was “Math & Physics Exploring S­pace”. Recent scientific discoveries about Space have pushed Mathematics and Physics beyond the boundaries of theoretical science. This year’s event was a dynamic mingling of groundbreaking legends in science, space and business who share an appreciation of the intrinsic explorations across these universes. Professor Thibault Damour was our guest of honor and provided insights on Space. Doctor Charles Simonyi shared his extraordinary experience of spaceflight missions. The fundraising objective was exceeded with more than $430 000 collected that evening. The funds served to finance the research visits in Bures of scientists from all over the world and the Institute thanks its American friends for their support and generosity.